Philadelphia: Hot-brewed coffee has higher levels of antioxidants than cold brew which signifies more health benefits. A new study published in the journal Scientific Reports found that chemical differences between hot and cold brew coffee may have health impacts and that the hot brew method tends to extract additional non-deprotonated acids in comparison to the cold brew method. These acids may be responsible for the higher antioxidant activities observed in hot brew coffee samples. The study also found that the pH levels of both hot and cold coffee were similar, ranging from 4.85 to 5.13 for all coffee samples tested. Coffee, companies have always promoted cold brew coffee as being less acidic than hot coffee and thus less likely to cause heartburn or gastrointestinal problems. Niny Rao and associates conducted a study to better understand the relationship between brewing temperature and chemical complexity of the hot and cold brew coffee. The study concluded that cold brew coffee extracts were found to have lower concentrations of acidic compounds and may be less chemically diverse than hot brew coffee extracts prepared from the same beans. This can be seen in both total acidity and antioxidant activity measurements. 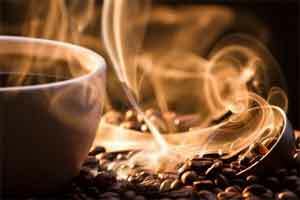 Hot coffee brews were found to have higher titratable acid levels.